What happens when two best friends both have boys? Well, naturally, the boys beco me best friends too! Cameron had an awesome visit with his best bud, Will and his wonderful godmother, Joanne. 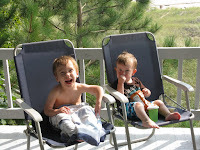 The boys played on the beach, in the water, and definitely enjoyed a few snacks together and did a great job sharing them. Cam and Will also played on Cam's new kid laptop and some of the grown-ups were convinced the boys were trying to figure out how to access their parent's email accounts. This week was bittersweet for Cam as he said goodbye to his summer nanny, Nikki. We know that she will stop by and see Cameron during the school year, but she had to return to her science students in junior high. Cam loved his playtime and long walks with Nikki and we all can't thank her enough for the excellent care she provided! Cam is also lucky enough to spend time some evenings with Sarah. She's a PT student and besides playing with Cameron, also works on stretching and other physical therapy exercises. Fortunately, Sarah will continue to Cam-sit in the evenings. 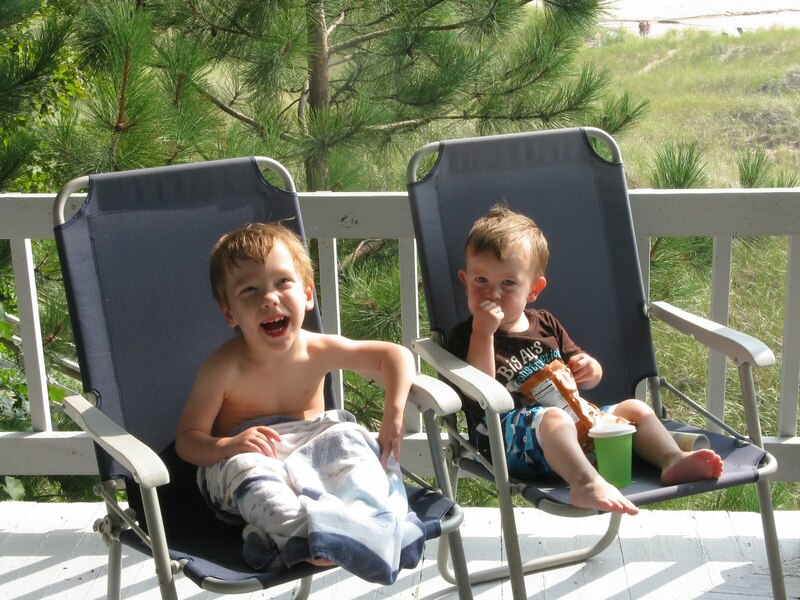 One more week of summer break before the big boy heads back to school...hope you're all soaking up this beautiful Michigan summer as much as Cam is! If Joanne is Cam's godmother and Jane is Will's godmother does that make the two boys godcousins?